We encourage all our patients to lead healthy and active lives, and are always ready to give advice about how you and your family can do this. You can search long term conditions and NHS Choices Health A-Z for help and info on your condition. Being well informed about your condition/situation and using self help tips can help you cope and improve your quality of life. There may also be helplines or organisations that offer free support and advice to people in your situation (see below). BUT, if you are struggling to come to terms with a diagnosis, are going through a bad patch, or need help managing your symptom - please speak to your GP. Many organisations run help lines (usually free and confidential) help lines for all kinds of health conditions. Search NHS Choices for your condition or situation to find other helplines and sources of support; or do an online search. Many organisations offer FREE help on a wide range of health and medical issues. Here is a selection. 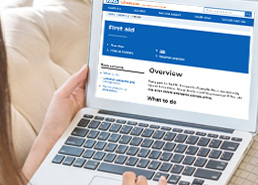 Search NHS Choices for your condition or situation to find other sources of support; or do an online search. 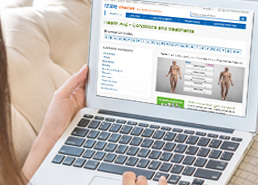 This page helps you recognise the signs and symptoms of common health conditions. But, if you have any concerns please seek medical advice (see, Appointments & Advice or Out of Hours or askmyGP). 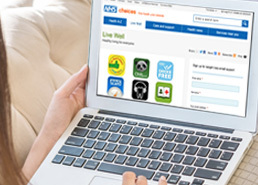 Search NHS Choices Health A-Z for nearly 500 conditions from Acne to Zika Virus. If you have a sexual health problem that cannot be self-treated, please speak to your GP or contact your nearest sexual health clinic. 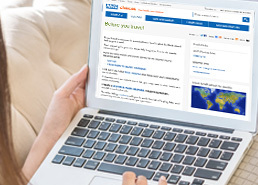 Here are some trusted online sources of support to help you manage your health and wellbeing. 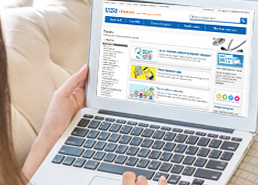 Search the NHS Choices online services directories to find local and national NHS services - search by service name, service type, condition or surgical procedure for any town or postcode in the UK. See NHS Choices listing of Mental health helplines. If you have any pregnancy or family health concerns, make an appointment to see your GP. Or if it is not urgent, message them using the online service askmyGP. Keeping fit and active during your pregnancy will help you adapt to the physical changes taking place in your body, and the rigours of labour. Babies and toddlers Is vaccination safe? We give free NHS vaccinations to children and adults to protect against a range of serious diseases. Ask us for details. For general info about travel vaccinations see our Travel Health page. For details on how to book a vaccination appointment visit our Travel Clinic page. 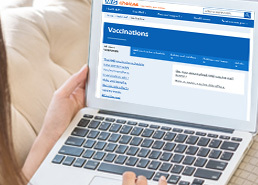 Or you can message your GP for advice about vaccinations using the online service askmyGP. Vaccinating your child is a way of protecting them against serious disease. Once a child has been immunised their bodies can fight those diseases if they come into contact with them. To find out more, talk to your GP or health visitor, or contact our Reception for an appointment. Create a personal immunisation chart for your child. Teenagers who have been vaccinated when they were children will be offered booster injections – usually at school – to top up their protection. For example, the Td/IPV booster covers tetanus (T), diphtheria (d) and polio (IPV – inactivated polio vaccine). They may also be offered other vaccines for TB, meningitis and cervical cancer (girls age 12-18). To find out more or make an appointment, please contact our Reception. Full course of polio vaccinations. Flu vaccination – a yearly vaccination to help prevent flu. Recommended if you are over 65 or have asthma, chronic bronchitis, chronic heart condition, kidney failure or an immuno-suppressed condition caused by drugs or disease. Pneumococcal vaccination – a one-off vaccination to help prevent pneumonia. Recommended if you are over 65 or have no spleen, are immuno-suppressed, have diabetes or suffer from chronic bronchitis or heart disease. Hepatitis B vaccination – a course of vaccinations to help prevent hepatitis B (a viral disease affecting the liver). If you are hurt and need treatment, ask for an appointment at our minor injury clinic, or find one of the other minor injury services in the Ashford area (it could be run at another GP Practice, clinic or hospital). If the injury is more serious or life-threatening dial 999 and ask for an ambulance (or make your own way to A&E if you can). 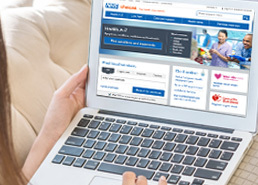 Or if it’s not urgent, message your GP for advice using the online service askmyGP. If you witness a stroke, heart attack or cardiac arrest, don’t waste time - call 999. The worst thing you can do is nothing. Note the time when symptoms first appear. We recommend planning your vaccinations and health matters well in advance, at least 6-8 weeks before your trip. This is because not all vaccines are held in stock and have to be specially ordered, and they can take several weeks before taking effect. If you have a serious medical condition check with your GP to make sure you are fit to travel, especially if going abroad. Plan at least 6 weeks ahead. Organise your vaccinations through a travel clinic (those in our local area are listed below. Please note - Some vaccinations are free, others are chargeable on private prescription. Your entitlement to medical care while overseas varies by country and it may not be free. You may wish to take out travel insurance that covers medical bills and the cost of repatriation for serious illness or death abroad. If you are seeking medical treatment abroad it's vital that you understand the risks and gather enough information to avoid the pitfalls.